Your Holiday Planner. Make your next holiday more of a holiday. Unique, memorable and authentic holidays with your family’s needs in mind. Need to get away NOW? Want to surprise someone? How about a gorgeous getaway to recharge your batteries? Family get-together, holiday with friends, occasions and celebrations. Save yourself time and let me find that special place. Travel how you want, where you want, do what you want. Building a holiday around you is my speciality. I’m so glad you organised my first glamping experience for me. It’s lovely to have a different memory that doesn’t blend in with all the other mainstream holidays we’ve had before. Holidays should be special to you, and especially for you. As your personal holiday planner, I’ll relieve you of the frustration and time spent in organising the perfect holiday yourself. So that you have more of a holiday, right from the start. And whatever your budget, you’ll be sure that your holiday will be a life experience to be treasured. 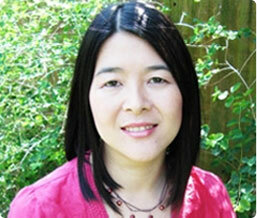 Hi – I’m Ching and I’d love to help you plan an amazing holiday experience for you and your family. As your personal holiday planner, my job is relieve you of the time and frustration in organising your holiday. Let’s face it, holidays are well-earned. So it makes sense to invest in some expert research and planning. In return, you’ll get a holiday to remember, without having to do the hard work.